An epic Jewish wedding we will never forget! The dancing pretty much didn't stop for the entire reception at Sandalford Winery - from their big entrance with Tamara and Josh on chairs being held up by their guests, the fun didn't stop until all the guests went home! 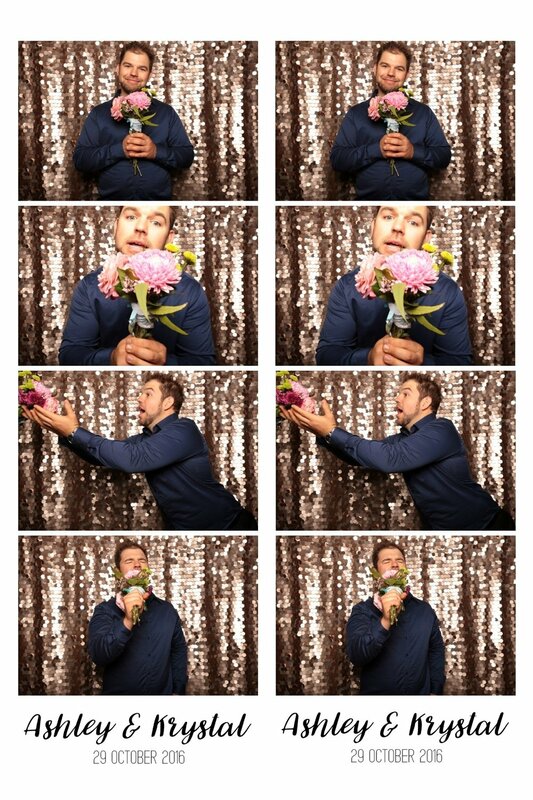 Between dance floor shenanigans, the photo booth was a great place for guests to catch their breath for a moment! We decided to use the lovely barrels lining the walls of the oak room as our backdrop for the night to give the photos a sense of context! Shoe phones, beer bottle balancing, and horsing around... here are a few snaps from Tamara + Josh's Epic Jewish Wedding! We recently had the pleasure of providing some epic photo booth fun times at Emily's 18th Birthday Party! Emily took a temporary break from her exam studies and let off a bit of steam with a night of dancing, friends, and shenanigans. Emily and her family put on an awesome house party with gold/black decorations, giant balloons, a DJ, poolside dance floor, and the yummiest birthday cake I've had in a long time (thanks, guys!). We designed the print out to match Emily's black and gold party theme. Not many venues allow confetti, as it makes a bit of a mess (easily vacuumed up!) but I always bring some along 'just in case'… and I'm so glad I did! Check out the awesome shots we got!